Kenya is one of the world’s largest exporters of cut-flowers, which represent the country’s second largest export commodity after tea, and Australia is one of the biggest Asia Pacific importers of the East African nation's famed roses. The 'Love Plane' marks the first direct full freighter flight from Nairobi to Sydney with a Boeing 777F. 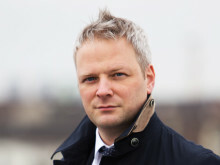 And Panalpina is the first and only freight forwarder with this service offering in the market. 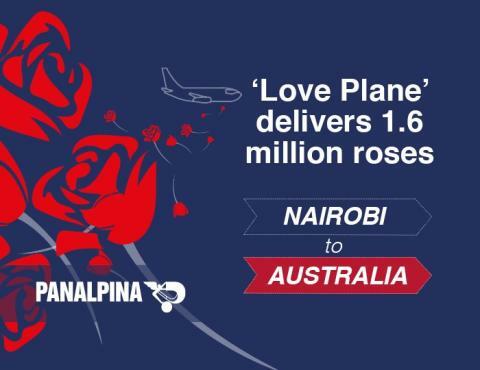 The special delivery of 1.6 million roses follows the expansion of Panalpina’s cold storage facility in Nairobi’s Jomo Kenyatta International Airport in November 2018, which will enable the company to move a projected 80,000 tons of flowers, fruit and vegetables in and out of Kenya by 2020. “Some say love makes the world go round. Panalpina makes things go round the world, and we’re happy to make Valentine’s Day much more special for our friends down under,” says Quint Wilken, Panalpina’s global head of Air Freight Perishables. Perishables are in demand around the globe, all year long. Success in this industry depends on a logistics provider that can ensure products such as flowers, fruits or fish, are safely and efficiently steered through the cool chain on the way to final destination. 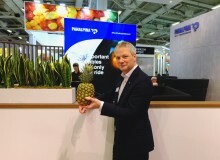 Panalpina has acquired several specialized companies and aims to become the preferred global supplier of perishables logistics by 2020.